Supply the happy couple with everything they need to eat, drink, and start their new life together off right! 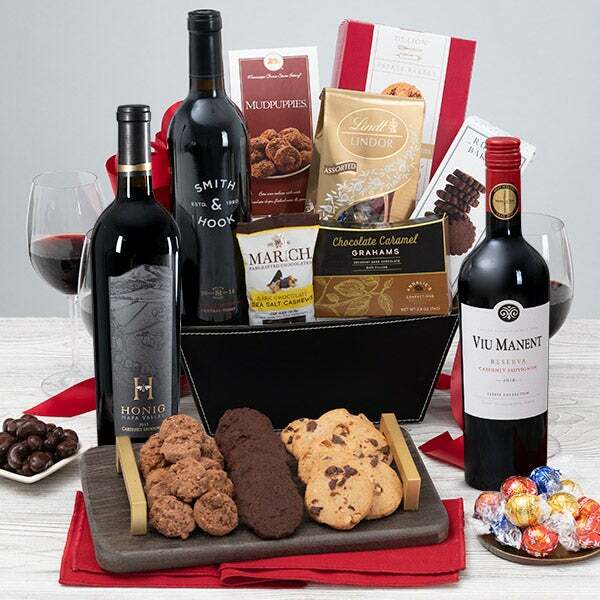 Choose a bottle of wine for the newlyweds and they'll surely think of you as they spend a romantic evening together sipping wine and eating gourmet chocolates. This beautiful gift basket is full of chocolate delights that is guaranteed to be one of the twosome's favorite gifts. Chocolate Wafer Roll Petites by Dolcetto - .7 oz.